Learn how to make cannabis infused oils, such as olive, coconut or grape seed, or clarified butter using the Sou Vide method. 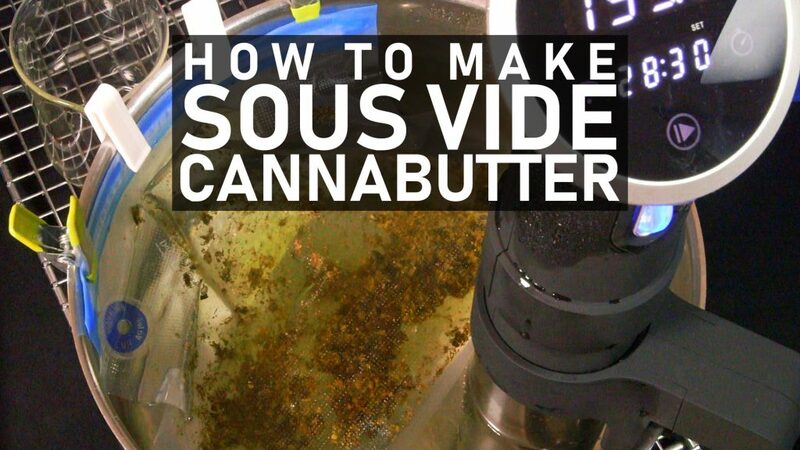 Not only is this a precise and careful method to make cannabutter but it also can be done with virtually no odor. Also a simple brownie recipe to use the infused oil is included at the end. Grind cannabis flower and/or crumble rosin chips into sous vide bag. Remove the air with a vacuum sealer, hand pump or hand squeezing. Heat sous vide to high (195° F.) Submerge bag with cannabis into water chamber and clip into place to keep submerged. Decarb for 1 hour. Infuse in water bath for 2 – 4 hours on High (211° F.) Replace water as required to keep from evaporating below minimum line. Strain the oil from the cannabis with a fine mesh filter or cheesecloth. Store in freezer for months, refrigerator for weeks or use immediately in your favorite cannabis infused recipe or right out of the container.